Firefighters monitor the perimeter of the firing line on the 842 fire Thursday in the HD Mountains. Pre-firing operations started Wednesday in the HD Mountains to expand the 842 Fire. 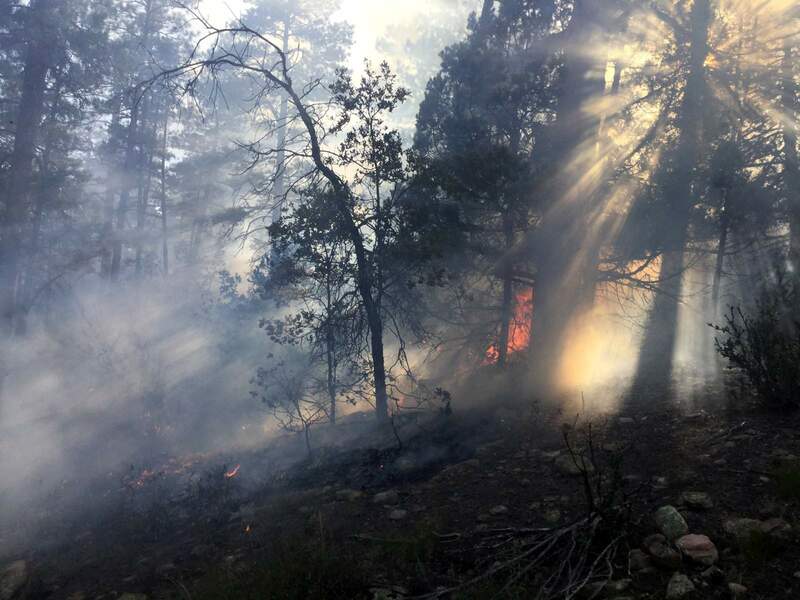 The fire was caused by lightning and had burned about 35 acres as of Thursday morning. Expanding the fire will improve forest health, according to the U.S. Forest Service. A small fire caused by a lightning strike in the HD Mountains east of Bayfield has been encouraged to grow a little bigger, and it has done just that. Firing operations began Wednesday to expand the perimeter of a small wildfire. The burn will improve forest health and reduce future wildfire danger, according to the U.S. Forest Service. The 842 Fire burned about 13 acres as of Wednesday and grew to 35 acres as of Thursday morning. The fire is smoldering and creeping on the surface about 13 miles southeast of Bayfield between the Turkey Creek and Bull Creek drainages. “Firefighters will be using drip torches, working to expand the perimeter of the fire within the predetermined containment lines,” said Incident Commander Lance Martin. 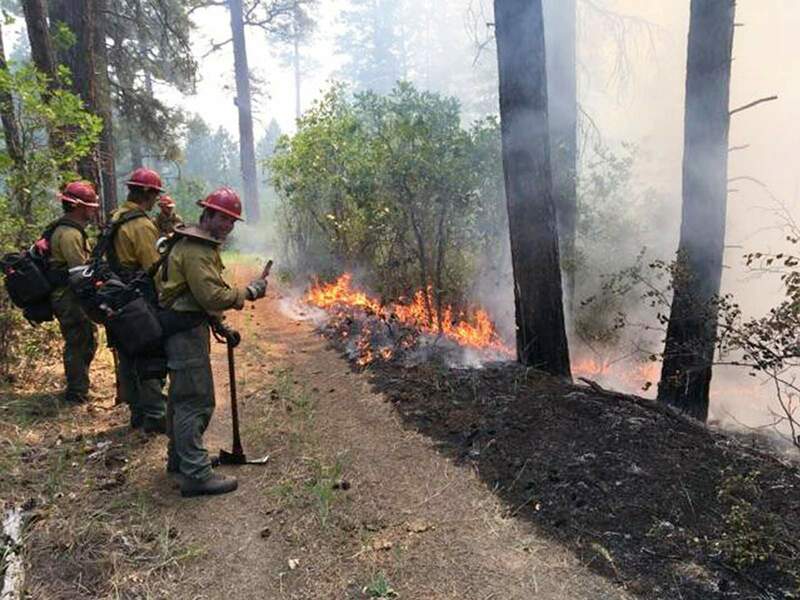 Fire crews on-site include a Type II initial attack crew from Wyoming and local crews from the U.S. Forest Service, Upper Pine Fire Protection District and Durango Fire Protection District. Firing operations also help guide the fire’s growth away from populated areas so it can play its natural role in the forest. Existing roads, trails and natural barriers will be used as containment lines instead of building fire breaks. Crews will do this to minimize any impacts to remote archaeological sites. For more information, call the Columbine District Office at 884-2512.